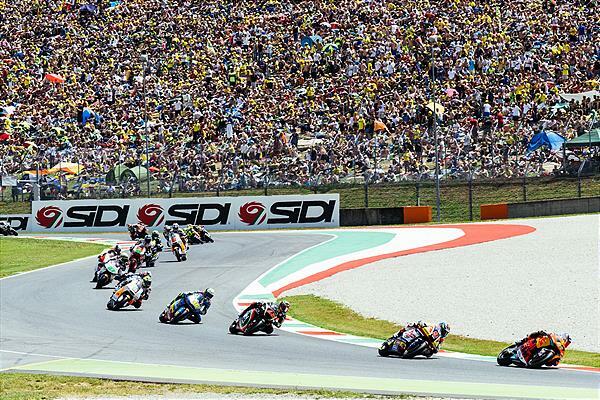 Track temperatures reached almost fifty degrees at the Autodromo de Mugello that was bursting to the fence seams with fans and MotoGP ‘tifosi’ keen for the latest episode of the FIM World Championship. 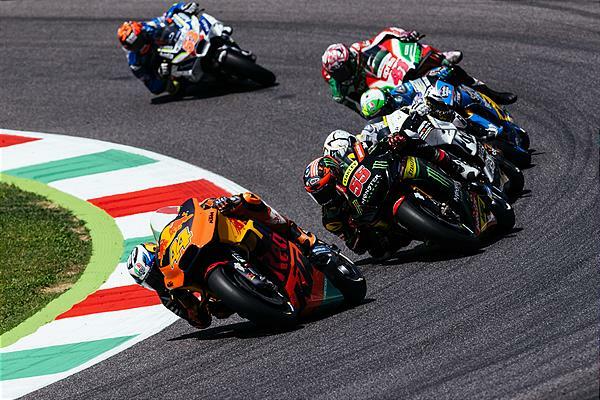 Pol Espargaro and Bradley Smith launched from the fifth and sixth rows of the grid with their KTM RC16s and settled into a tussle for the final slot of the top ten. Smith, using a softer tyre choice, set the early running but could not dislodge Espargaro who assumed control in the second half of the 23 lap chase. The Spaniard crossed the finish line to classify 11th for the third Grand Prix in a row and for the fourth time this season. 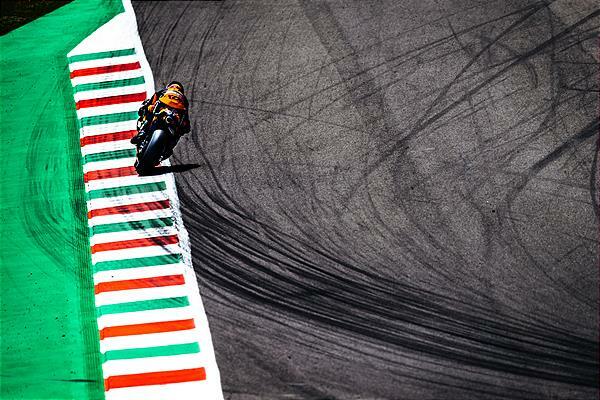 His time distance from winner Jorge Lorenzo was slashed by more than half compared to the debut at the same venue twelve months ago. Smith took part in a frantic chase to the line and lost 12th place by six-hundredths of a second; the Brit was 14th. 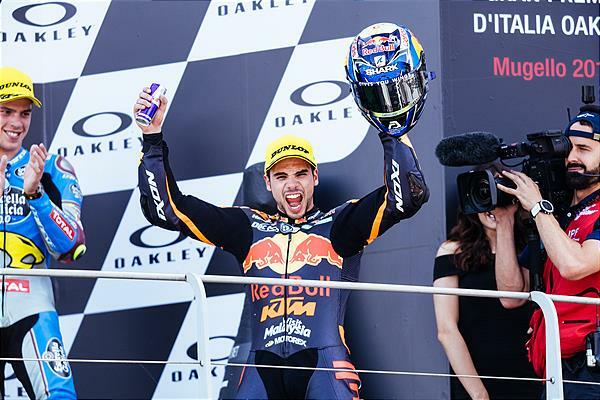 A fantastic Moto2 race between four riders was decided through the final corners of the last lap and Red Bull KTM Ajo’s Miguel Oliveira emerged triumphant for his first victory of 2018. The Portuguese made two clever overtaking moves, the second negotiating Arrabbiata 1, to reach the flag first (after starting from 11th on the grid) and as leader of a group separated by just half a second. 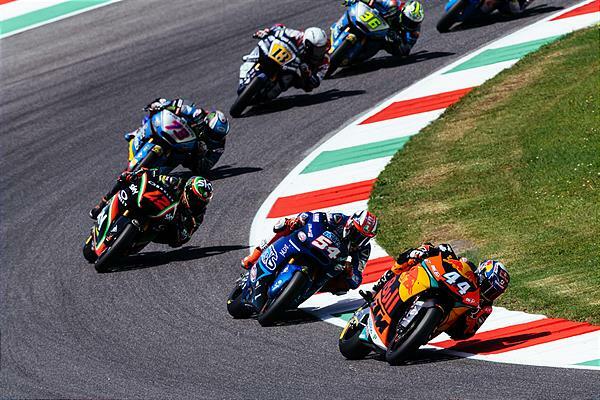 #44 remains second in the championship standings and just 12 points behind Francesco Bagnaia. 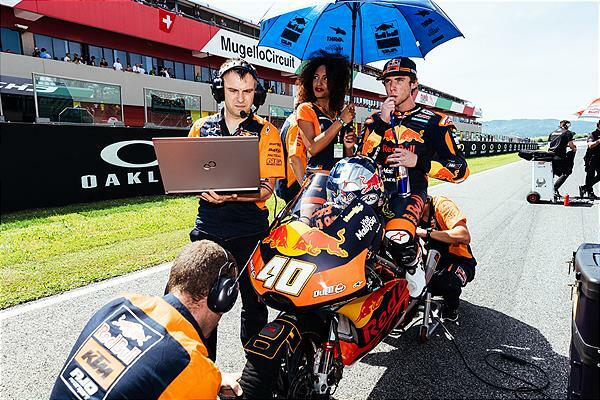 Brad Binder pushed hard to reach 6th place with his KTM Moto2 bike. 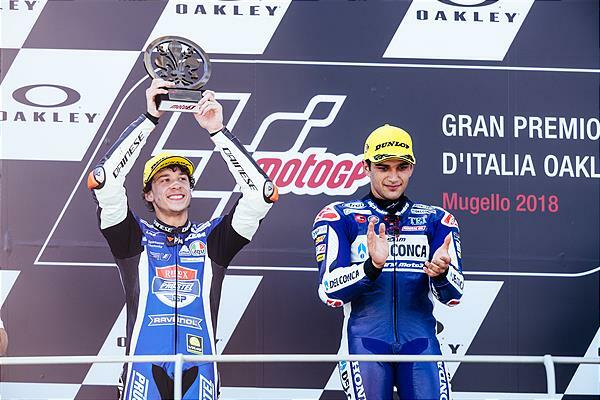 Oliveira: "Starting from so far back on the grid, I knew I had to make a good start. I pushed my hardest on the first lap and, shortly after, I was already up into third. 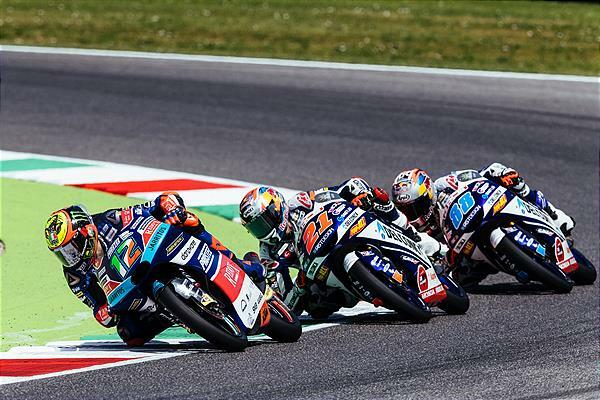 Pasini was very strong and very fast, but I saw that I had a chance to win the race and, simply, I decided to go for it. 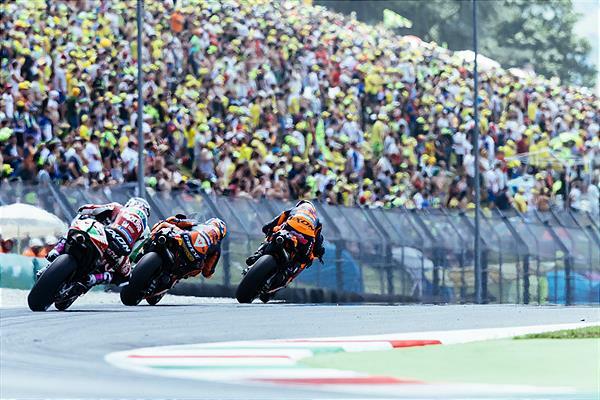 Baldassarri also had a great pace, and I fought with him until the last lap. It was a very fun and spectacular battle. I am very happy to have taken this victory that we had been chasing since the beginning of the season. 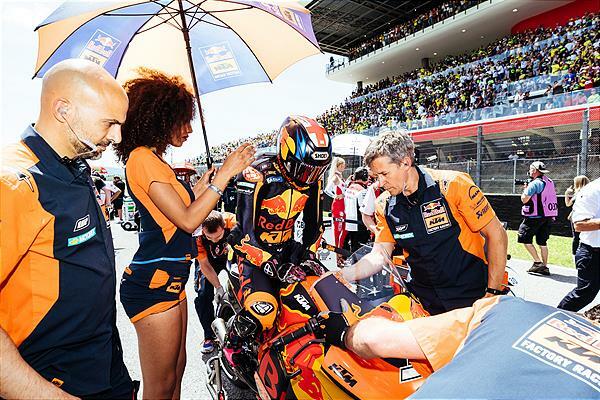 I have to thank the team because they worked really hard, and from FP3 to qualifying we had to change the bike almost completely; in the end, it worked out very well." 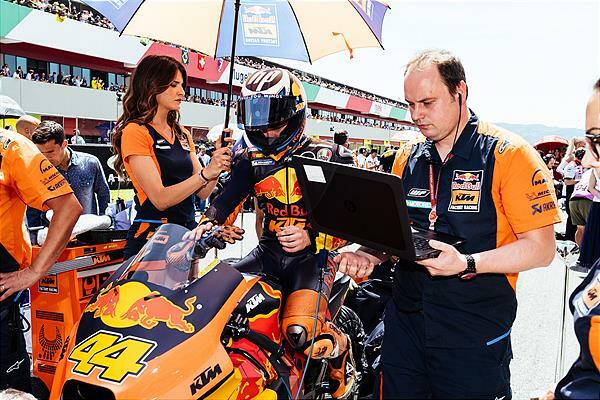 Aki Ajo (Team Manager Moto2): "It’s been incredible. This victory means a lot to us after a difficult weekend and, in general, after a period of two-three races with difficulties. We have never given up, we have never lost hope, and we knew that better times would come around. This is a very important victory and we are very happy about it. 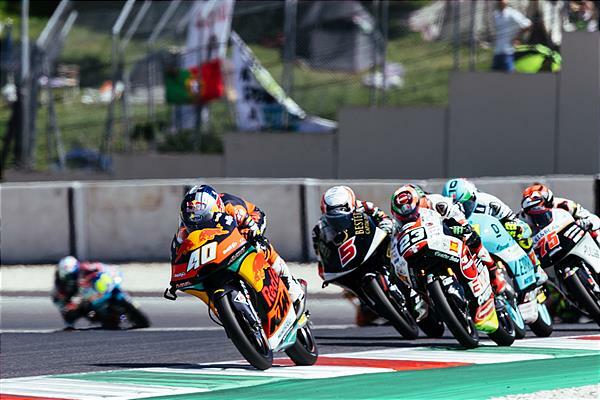 Not only has it been an important race because of Miguel (Oliveira) winning; this has been a key day, in terms of results, for the whole team. 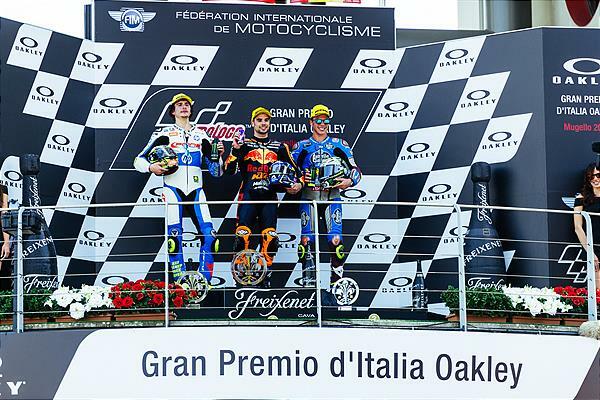 Brad (Binder) also had a very good race, coming from far back and finishing sixth." 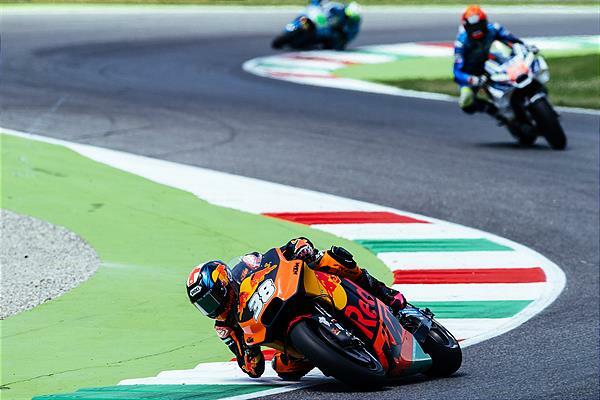 Redux PruestelGPs’ Marco Bezzecchi collected his fourth podium trophy of the year on the KTM RC250 GP after a three-way dispute for Moto3 honours at Mugello. 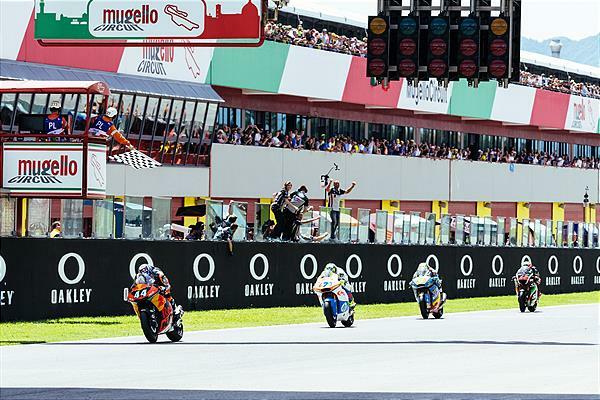 The Italian ducked out of the slipstream to pass Fabio Di Giannantonio and just missed out on a home Grand Prix win by 0.019 of a second to Jorge Martin. 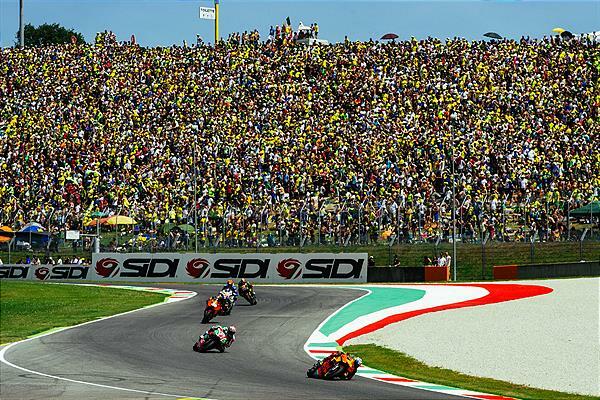 MotoGP will pause for a week before drifting across to northern Spain and the Circuit de Barcelona-Catalunya for the Gran Premi de Catalunya and round seven of nineteen.